Transitions Kitchens and Baths – What is Contemporary Bath Design? 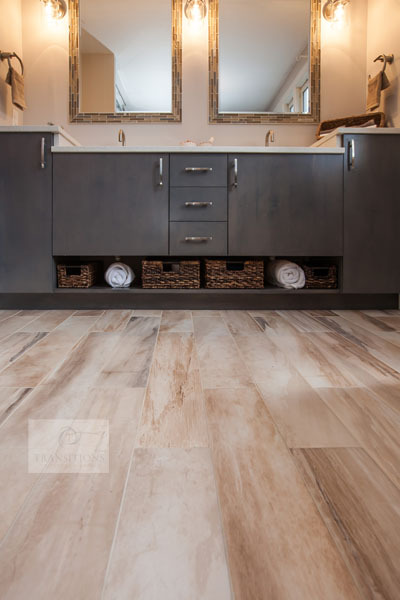 Are you thinking about a bathroom remodel that will be sleek, stylish, and functional? Contemporary design could be exactly what you want. It differs from modern design in that it incorporates elements of popular styles culminating in a look that brings together comfort and sustainability. Modern design started as a post-war movement combining form and function without fussiness, but Scandinavian designers took modern design a step further and created what is now known as contemporary design. The result is a crisp, functional look using beautiful materials and influenced by nature and current trends. 1. Clean lines are vital in contemporary design, making it the ideal style to create a simple, relaxing bathroom design. 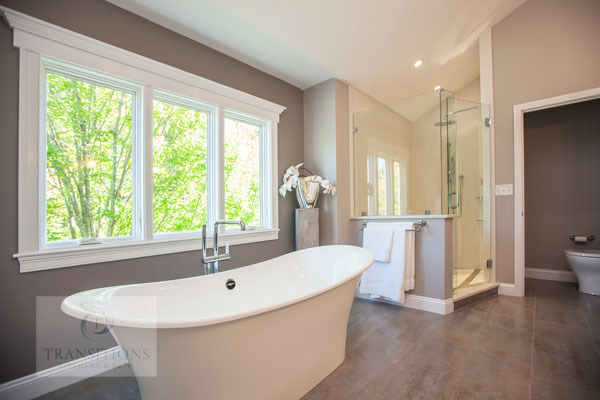 For example, a freestanding tub with simple lines suits a contemporary space while an intricate claw-footed tub would be at home in a more traditional bath. Avoid creating a bathroom that is too clinical by introducing small traditional elements, for example traditional ceiling moldings alongside modern light fixtures. 2. Lighting is critical to any bathroom design, but even more in a contemporary bath. 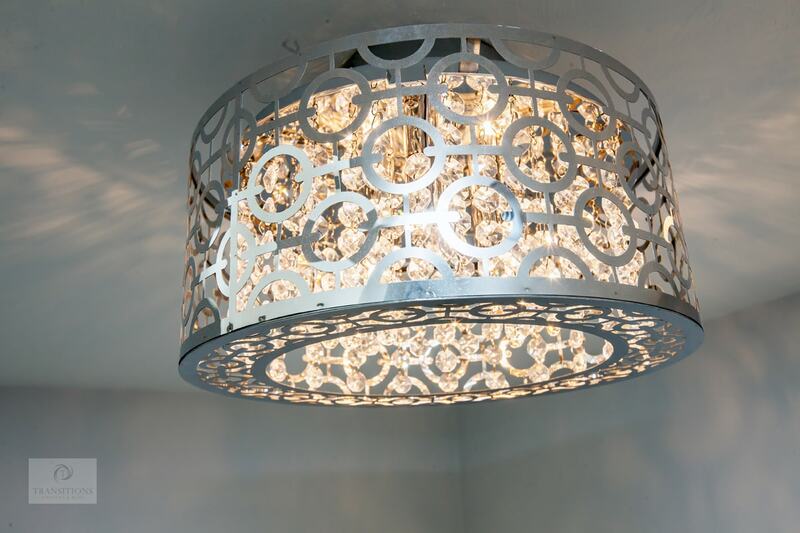 Bright, well-positioned lighting gives the space a sleek and fresh appearance. Floor to ceiling windows also bring in natural light and make a stunning focal point. Mirrors, floating vanities, glass partitions and bright colors also bring a sense of airiness. 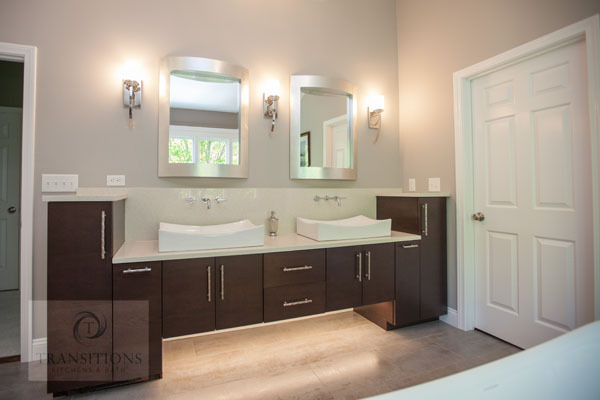 This contemporary bathroom design in Marshfield utilizes a combination of natural light, sconces, recessed ceiling lights and under-cabinet lighting to illuminate the entire room. 3. Simple shaped toilets, tubs and sinks accessorized with faucets and plumbing fixtures in warm or metallic shades are popular elements of contemporary bath design. Everything should be showcased in its purest form and not painted or altered, so the contemporary color scheme is kept neutral and simple with splashes of bright colors. 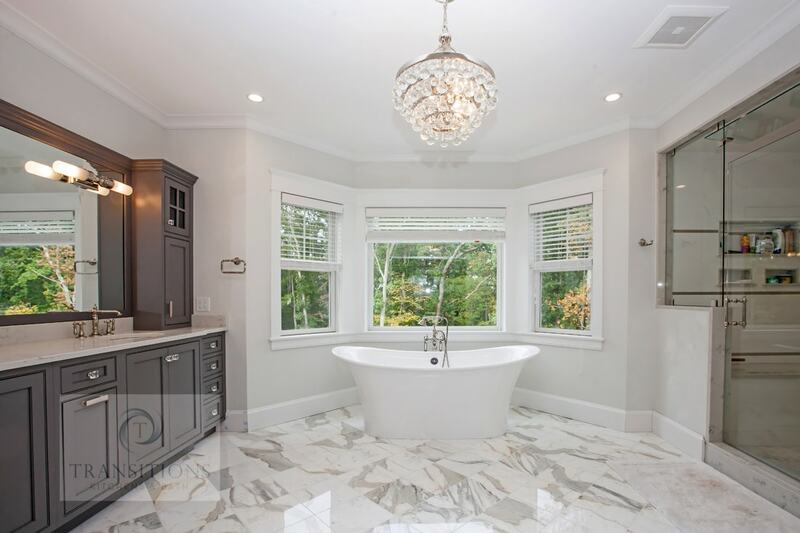 This stunning bathtub in Norwell, surrounded by views of nature, really makes a statement. 4. Elements of industrial design look really smart when incorporated into a contemporary bathroom. Concrete countertops or floors, exposed brickwork, pipes and natural wood bring warmth and contrast to the surrounding clean white lines. 5. 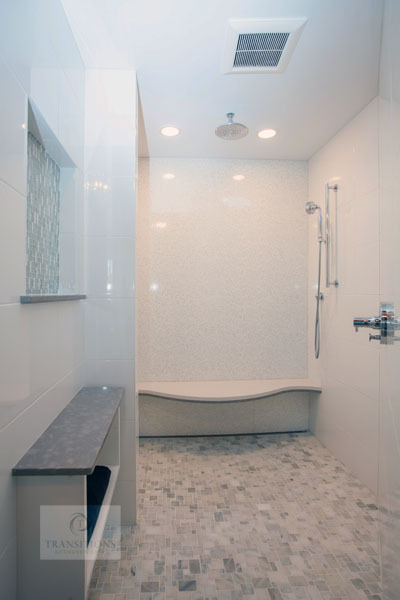 Tiles can be utilized to great effect in contemporary bath design. Dark stone or geometric patterned tiles contrast beautifully against smooth white fittings, as do the straight lines of subway or mosaic tiles, especially in bold, block colors, or in monotone with contrasting textures to add depth. Light natural stone or wood effect porcelain floors create an airy, restful atmosphere and adding teak or brass accessories will really warm up any minimalism. 6. Contemporary bathroom design thrives in an open, airy, organic space. 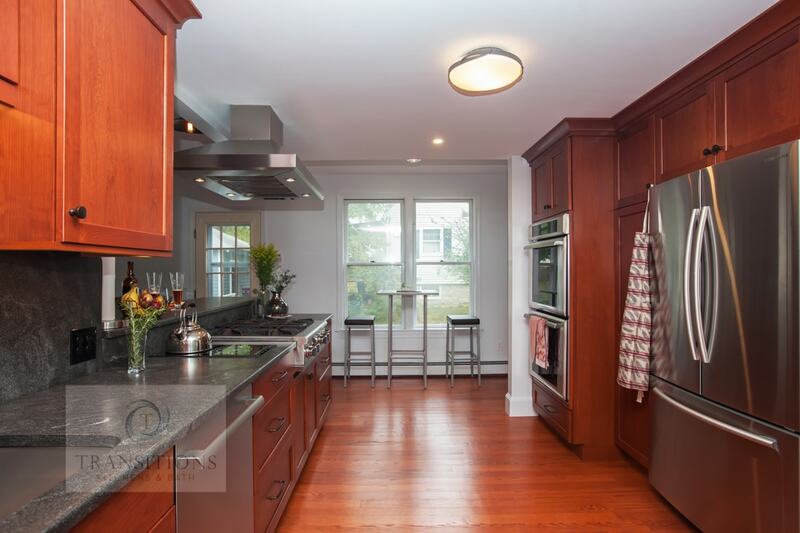 It is important to keep this space clutter-free, so you can appreciate the clean lines and smooth surfaces. 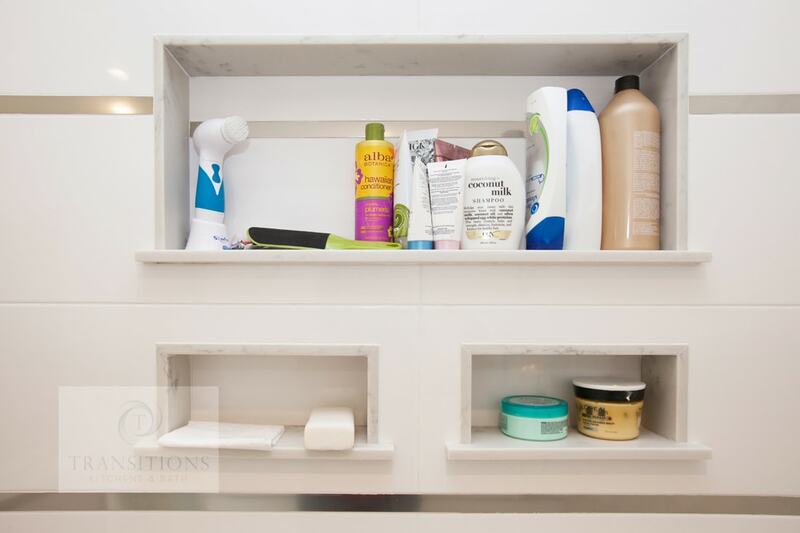 Custom made cabinetry will cleverly store away all toiletries and personal effects to leave a simple, yet beautiful bathroom design. However, keep a little ornamentation to give personality with a unique light fixture or block color feature wall. 7. 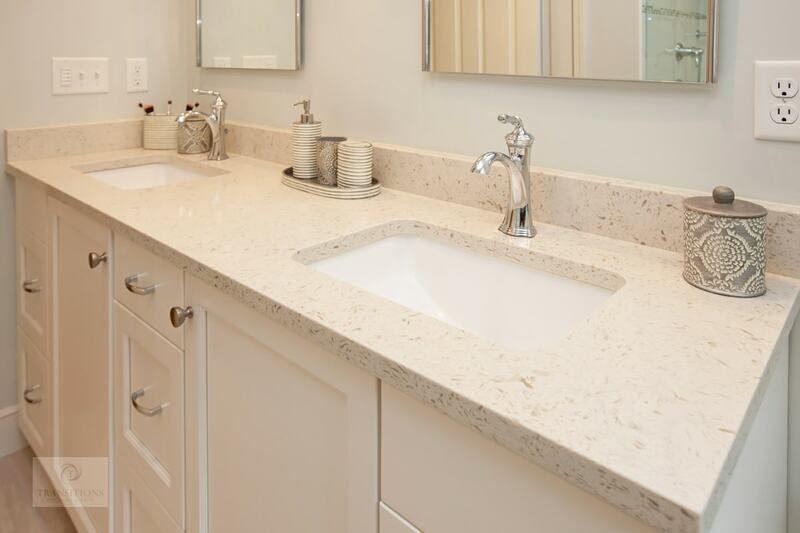 Your bathroom design must reflect your own style and be comfortable. Don’t be afraid to include elements of contemporary design combined with more traditional pieces to create a transitional or eclectic look that is all your own. Another way of updating your bath design is to install contemporary versions of traditional products such as metallic claw-foot tubs or stone trough sinks. The possibilities are endless. Contemporary bath design really is a seamless balance between form and function. Now that you know its premise and how adaptable and eclectic it is, why not plan your own contemporary bath remodel? Contact us today and let our design experts guide you through our many options for this exquisite look. By tkbrAdmin|2018-08-22T22:57:29+00:00August 22nd, 2018|Bathroom Design, Bathrooms|Comments Off on What is Contemporary Bath Design?